The new ARES-G2 is the most distinctive rotational rheometer for advanced research and material development. It represents the culmination of five years of ground-up intensive R&D effort, and stands as a testament to TA’s commitment to innovation and continual improvement to the fundamental rheological measurement. The ARES-G2 remains the only commercially available rheometer to offer unique separate motor and transducer technology for the purest rheological measurements. 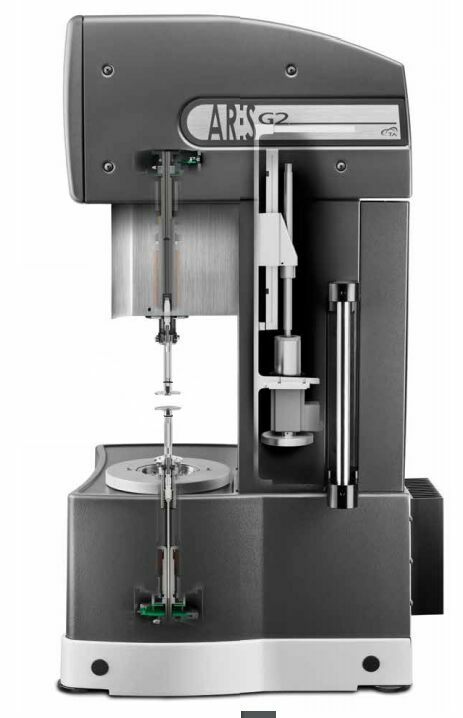 No other rheometer is capable of measuring stress independently of the applied shear deformation. Unrivaled accuracy, flexibility, and ease-of-use is realized through improved specifications, new environmental systems, advanced options, expanded test modes, and new intuitive TRIOS Software with seamless test sequencing.